Do you get nervous or anxious before a dental treatment? Would you simply like to relax more during your dental visits? If so, Minimal oral sedation might be right for you. Minimal oral sedation (also known as anxiolysis) is the safest, lightest form of sedation that can be administered. Why Choose Torrington Dental Care for Oral Sedation? On the day of your dental appointment, you will take an oral medication prescribed to you by one of our dentists. The medicine will help you relax. You will continue to breathe on your own and even be able to respond normally to voice commands and tactile stimulation. Once the medication takes effect, your dentist and our team will begin dental treatment. Your blood pressure, O2 saturation, and pulse will be monitored carefully throughout the entire appointment. 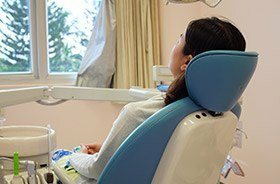 While this sedation is conservative, many patients do not remember their dental appointment afterward. If you have any questions about minimal oral sedation, feel free to contact us at (860) 733-6465 or email us!